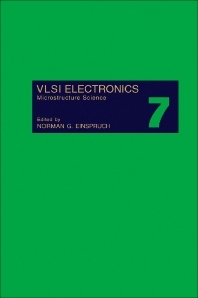 VLSI Electronics: Microstructure Science, Volume 7 presents a comprehensive exposition and assessment of the developments and trends in VLSI (Very Large Scale Integration) electronics. This treatise covers subjects that range from microscopic aspects of materials behavior and device performance to the comprehension of VLSI in systems applications. Each chapter is prepared by a recognized authority. The topics contained in this volume include a basic introduction to the application of superconductivity in high-speed digital systems; the expected impact of VLSI technology on the implementation of AI (artificial intelligence); the limits to improvement of silicon integrated circuits; and the various spontaneous noise sources in VLSI circuits and their effect on circuit operation.